So, I took out my first kiting fleet, having experienced flying in one for the first time only a few days prior. I was gifted with 60 eager pilots which is wonderful, but pretty hard to find a fight with. Generally my solution top this problem is to shrug and welp us into people with more stuff, something I’m rather good at, and welp us I did. Pretty straightforward setup, Snuff Box popped into local and told us to “WAIT RIGHT THERE FOR LIKE 10”, so wait we did. They jumped a standard Zealot/Guardian setup which I was quite thankful for, as I was half expecting them to bring their Macharial “F*ck you and everything else on grid” Fleet. Sadly the fits we had were edging on a bit more EHP than covering the EM hole, though that probably played only a minor part. After they blew us all to smithereens, they rather unnecessarily camped our way out and tried to cut off as many people escaping as possible. I’m not saying they should have let us out, but we politely waited for them to come asplode all of our things so I had rather hoped after the field was littered with IVY wrecks they might allow us to quietly limp home. No such luck. 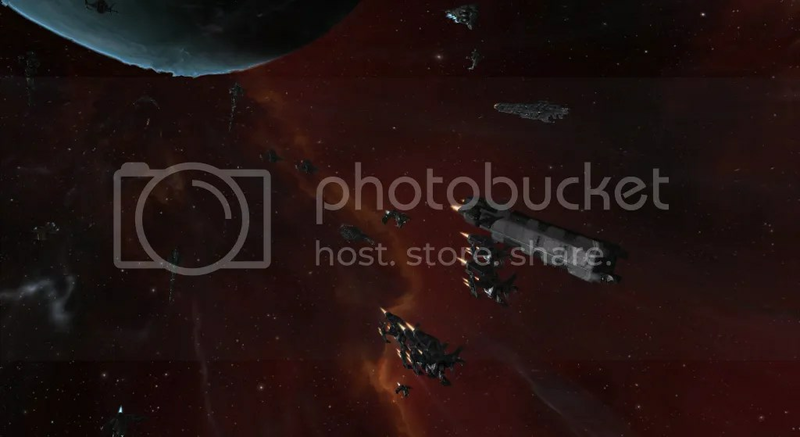 As anyone who has been to Black Rise knows, getting out is a bit problematic, there were two flashy fleets covering the easy ways out which meant the only thing to do was try to out-maneuver people who have been boss pirates since before I knew what EVE was. We got more people out than I expected, but still took heavy losses. – A massive amount in general about how to control kiting fleets in contrast to the usual brawling setup, seriously, I sat for about an hour after the fleet in quiet on my sofa just thinking, watching and re-watching the video on my laptop. – Effective communications in kiting fleets, how to manage aligning out and how to keep the fleet at appropriate distances while still on the move. – Hopefully all the pilots learnt a whole bunch on this fleet. We had a short dress-rehearsal in Aldrat where everyone tried to kite my mighty thorax, and the improvement for the actual fight was definitely noticeable. Obviously we all have a long way to go but I was very pleased with the progress and am confident that if kiting fleets are taken out regularly we’ll have a core of experienced kiting pilots who can increase the efficiency of the learning process for newer players. – Whenever I try new stuff and fleet styles like this old mechanics such as clear target calling and remaining composed in general falters. This needs work. EDIT: Since posting this a member of Team Liquid convoed me and gave me a masterclass on kiting fleets and general small gang/solo PvP. You sir are a badass. Thank you! This entry was posted in E-UNI, Education on January 31, 2013 by Apoth. “You must not ask yourself what your fleet can do for you, but what you can do for your fleet.” – Apoth, trying to sound fancy and provide a good opening to this post. Something of a cliche I know, but I want to discuss the limits of what an FC can do for his or her fleet, and what is reasonable to (in my eyes) for newer players to expect from the FC (what each side cam do for each other, see?). As I FC for the UNI, I have (and continue to have) trouble finding the right things to say at the beginning of each fleet I run to introduce each player to the knowledge I need to communicate for whichever fleet I happen to be running. This problem is only exacerbated by the constant cycle of new students as will as non-consecutive participation (darn real life! ), meaning that something mentioned last week may be vitally important or completely pointless to bring up in detail again. Not only this, but many members of the fleet will not have English as their native language, or come from a part of the world where my Bristolian accent is less than understandable. Equally, new players don’t necessarily know what they don’t know, or how much research to do between fleets. I remain of the opinion that to take part in the vast majority of fleets in the UNI all you need is a ship and a chair (though a microphone is preferred and the chair is optional, I happen to know a capsuleer who pilots from the comfort of a bean bag). This idea came to the forefront my mind when I recently took a kiting cruiser fleet into Black Rise. This was the second ever kiting fleet I’d been on, and the first I’d FCed (having stolen the doctrine from the first), and it was certainly the first or second time flying in one for almost every pilot on the fleet. I’m sure you can all imagine what happened, and you’re exactly right. 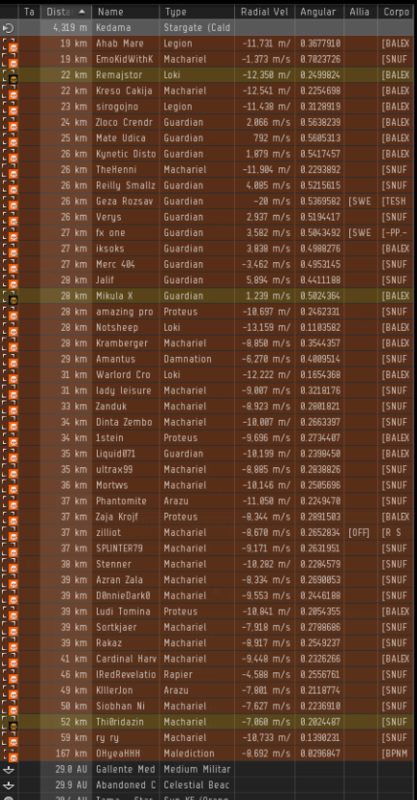 I didn’t originally want to go to Black Rise, but there are very few places you can go with a 60-man fleet and still have people shoot at you. Given the inexperience of everyone involved, we had a dress rehearsal before we left Aldrat and to be frank I was actually rather pleased with how well everyone flew. Despite my best efforts and what I though was a good long explanation as we traveled to our destination, you could have probably written a short novel of other things I did not say that would have been useful. Let us for a moment consider a “perfect FC” for new players. He covers every detail of fleet movements, exactly what he wants every ship to do at every point before and during the fleet in a perfectly clear and calm voice. He knows exactly how to communicate the finer points of what each pilot needs to be doing in a elegant way that covers the finer points and has helpful hints, without it becoming too much of an information overload. I think it’s fairly apparent that this is actually both impossible, and even if it were possible not a good thing. The start-up to each fleet would take over an hour, and the FC would have to be able to say multiple things simultaneously during combat, similar to the Djinni Bartimaeus having multiple consciousness in the fantastic trilogy by Jonathan Stroud. Not only this, but the repetition of the same information on every single fleet would bore every single pilot to tears. On the other hand, any singular piece of information could be exactly what the fleet needs to hear for the concepts require to click in their minds. These fleets are designed to some extent to provide practical experience in each role over varying styles of fleets. To what extent can I expect EWar pilots to have attended/listened to “EWar 101”? To what extent can I rely on Squad Commanders to answer questions? Will the Squad Commanders give good answers? Will the new pilots ask the right questions, or even be confident enough to ask? The only answer to this problem I have found is to cover the super basics on every fleet (insurance, clean clone) and then cover the vital points for the situations we are likely to face. If we’re brawling, focus on broadcasts, spreading points and keeping DD in optimals. As on the fleet mentioned previously, I focused on kiting distances & where each ship should be in the kiting blob, as well as the different target priority for both DD and EWar, given that they are significantly different from a close range slugfest. 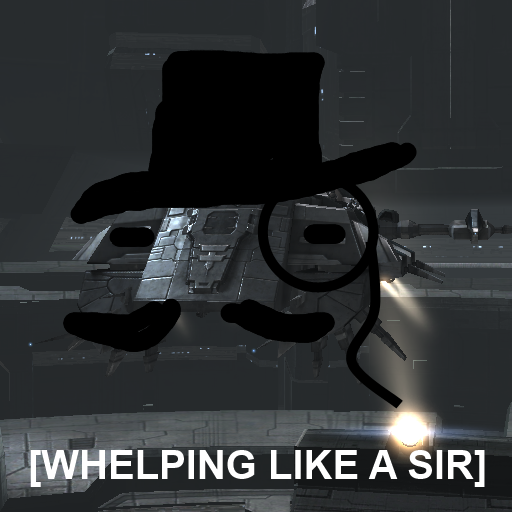 During bouts of Hi-Sec, when I’m hanging around in mumble, and directly after the fleet I constantly attempt to encourage discussion and questions, if there is anything anyone wants to bring up as well as in the AAR which I (usually) spent a good deal of time on. This will be an ever-evolving problem, but hopefully over time I will learn how to communicate more eloquently and usefully to newbros, without boring or alienating oldbros. It’s more than likely that there is no solution, and each of us have to do the best we can and deal the hand we’re given when trying to pass on what information (however little it may be in my case) to players still discovering the basics of the game. This entry was posted in E-UNI, Education on January 27, 2013 by Apoth. The story of how I got this screenshot may be even more crazy than the screenshot itself, it was one of those fleets where you have a plan, then the EVE gods laugh at you and throw you into a hurricane of explosions. Originally, this was to be a cheap Dessie fleet that took control of the Amamake triangle for an hour or two. We had six full squads of cheap as chips Dessies who had been assigned systems to control, with their Squad Commander having full autonomy of what they did unless I decided I wanted them to do something else. One of the problems with scheduled UNI fleets is that everyone will buy a ship for them, and it’s heartbreaking to say no, leading to the infamous “UNIBLOBS” that everyone sees roaming Low Sec from time to time. This strategy was supposed to split everyone up, make each person more significant to any engagement, as well as giving some leadership experience to our squad commanders. 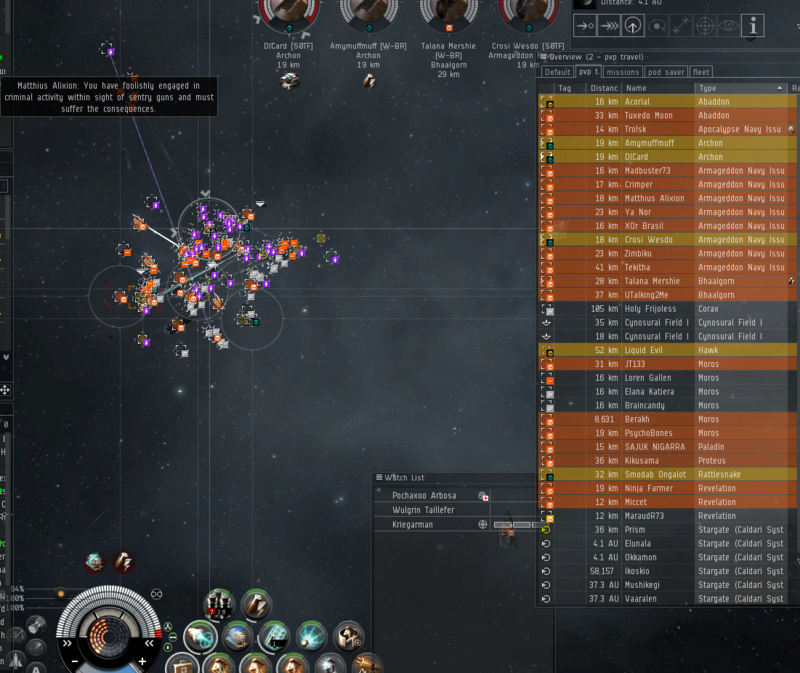 Regardless, no sooner had we entered Amamake and assigned systems that I got three private coinvos from Fweddit members warning me that they had just been obliterated by our old friends from Shadow Cartel in a shield Battlecruiser gang. Given our numbers and cheapness instead of running away I decided to barrel straight into them. It went pretty much as expected. Maybe 50 seconds after we engaged Fweddit reshipped into their own cheap Dessies and piled on to add firepower, but to little avail as we had to leave the field shortly after they joined in. So anyway, most of my fleet are in mighty noobships (not an uncommon situation), I’m trying to get everyone back to hi sec but for whatever reason Ossogur was not an option at the time, so I decide to take us out via Hadozeko. Two Rupture pilots decide to try to cut us off and try to pick off fleeing Unistas, so we blap them. Naturally, there was a smartbomber on the Resbroko gate, though our local spike manages to make him clear off as had hoped it would. I briefly set us up on that same gate while organising a way to deal with the SFI/Cynabal/Oracle gang on the other side, explaining briefly how to deal with him if he came back and making sure we didn’t present an easy target. Fortunately for us, the smartbombing Megathron decided that he could not resist all those tasty UNI ships and warped back into us. Given the number we had, what he actually managed to kill and the cost of his ship I’m going to say he had a pretty bad day. I was just on the edge of his range when he landed, and thus happened to be the first to get to loot his tasty wreck, leading to a very tight sphincter and the wonderful screenshot posted above. For the sake of completeness, I’ll finish the story of the fleet; After killing the Megathron we busted through the gatecamp, killed the Oracle and miraculously didn’t lose any ships while trying to pin down the Stabber and Cynabal, who unfortunately got away. Each of these engagement were rapid fire one immediately occuring after the other, and the excitement in the fleet was very noticeable from all the wooping in comms & fleet chat which I have to say I shared in completely. That fleet was insanely fun, a constant adrenaline dump all the way from Amamake to Resbroko. This entry was posted in E-UNI on January 23, 2013 by Apoth. Yes, I hate my voice too, here’s the battle report. I had given Fweddit 2 hours notice that we would be passing through and if they fancied a brawl we would happily engage, so mad props to them for putting something together for us. At first glance, this looks like a pretty even fight. If the insane number of battlecruisers can apply their damage well, without the Nid we slaughter them and with it’s somewhat more even. Given that our Celestis are the perfect way to deal with the Scorpions and the Blackbird the UNI wins right? Evidently not. 1) I was being yammered at in the command channel which affected my target calling, notice the silences in comms during. Before the video starts I had given a quick run down of how we were going to engage, who needed to do what to what and when etc, which was met with multiple people arguing over comms that other options were better (in most cases without all the intel, or were just wrong),, or that we should just go home. Going into a fight frustrated also added to this problem, I’m not attempting to pass blame but pointing out that I needed to clear my head and get on with it. 2) Our first Celestis went down fairly quickly, and the second could not find either the remaining Scorpion or the Blackbird on his overview. 3) The primary was never target painted and rarely scram/webbed, making our largely missile based attacks drop to a fraction of their potential. The sig tank on the Augorors were fantastic and if you look carefully the primary would on many occasions burn away from the DD. 5) I called a Drake as a primary well after realising we couldn’t break their reps, should have gone for one of the canes or just straight up scattered earlier. Derp. Anyway, now that we’ve discovered the main things that went wrong, how do we fix them? 1) More experience is better for me. Each time I take a fight of this magnitude my composure and awareness improves noticeably. I went over the battle report and spoke with the Fweddit FC after the fight who gave some very useful pointers, as well as many of the experienced Unistas who were in command positions. This was a great learning experience for me. I should have called the second scorpion to be killed straight after the first, or at least after the tempest. 2) I believe that both Celestis pilots were first-time EWar-ers, possibly in their first large engagement with a full overview. Hopefully this was a great learning experience for them too. 3) More bellicoses, possibly target painters in utility mids on a few of the BCs, 1 does not leave enough redundancy and I failed to tell him to specifically paint the primary. 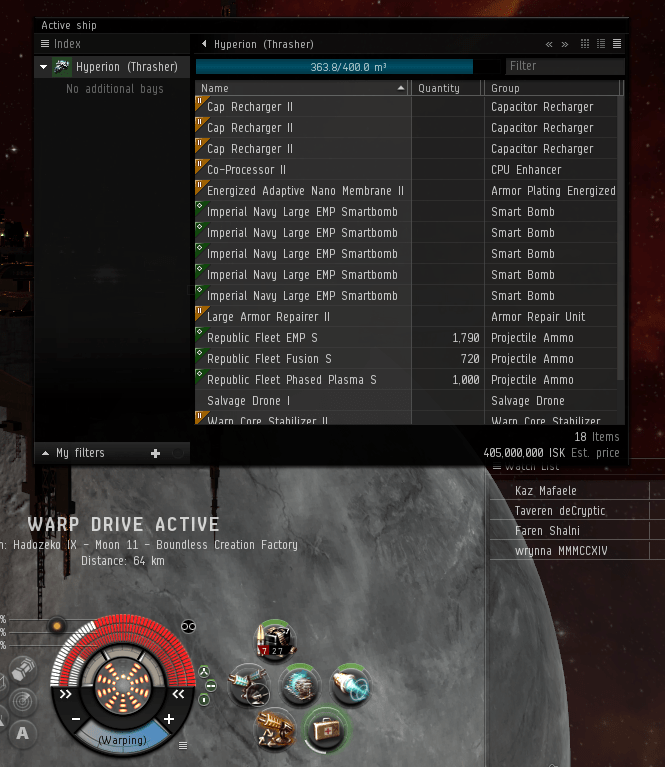 4) Remind DD to anchor up during fights and add it to my opening shpeel at the beginning of every fleet. 5) Don’t call bad primaries, see point 1. Not the best fleet I’ve ever done, but certainly excellent for learning purposes for everyone involved and despite losing a lot of ships we gave a lot of newbros (especially new logistics pilots, gogo T1 cruisers!) a great amount of experience that day, and we all had a hell of a lot of fun! This entry was posted in E-UNI, Education on January 21, 2013 by Apoth. My overview was certainly sparkling, and it was my first multi-dread fight where I understood the game well enough to know what was going on. I was the tertiary FC and as the secondary was forced off-field while the primary was being primaried, suffice to say it was intense. My ship made it out soley because I managed to MWD out of point range when the scatter was called. We were waiting on the gate for LO to arrive, but DnD jumped in from an adjacent system and brought the fight to us. It turns out our two capitals were 58m out of refitting range, though whether or not that would have given them the 30s to jump back out is very questionable, as they melted instantly. Massive fun with massive ships! This entry was posted in E-UNI, Video on January 21, 2013 by Apoth. This post, named after the monthly Q&A I do for EVE University (most recent & best recording with guest FCs Master Zeuth & Pinky Feldman here) contains the bulk of the preamble I do before we get into the Q&A. Over the past few weeks, the number of different people taking out fleets has exploded. The AAR section of the forums, which previously contained maybe 3-4 regular authors and the occasional guest is now a mosaic of Unistas, new and veteran taking out all manner of fleets. I cannot begin to express the delight this brings me, as it’s something that I along with many others have been trying to work towards. 2) Get more experience & knowledge. I highly advocate the option I took when starting out, #1, as there is no substitute for first hand experience. Otherwise, to achieve #2 you can try multiple things. – Read AARs and talk to FCs. When written well AARs are a portal into the mind of the FC, the decisions he was making and why he was making them. You can ask FCs questions about specific points in them and they will usually be happy to go over them with you. This approach can help a lot with basic decision making and specific areas you don’t understand. 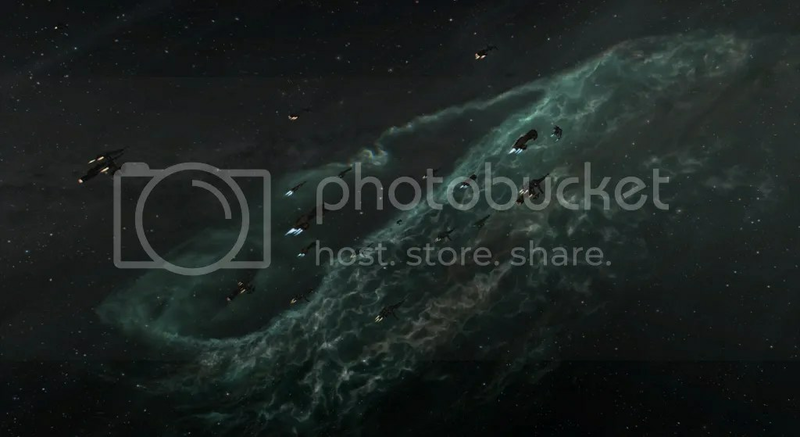 – This is something of a combination of #2 and #1, but the idea is to take out a fleet anyway, but ask an experienced FC or player to specifically tag along and provide support where needed, even taking over as Second in Command if you get completely overwhelmed/blown up. Personally I was very fortunate to have a few experienced Unistas regularly X-Up for my fleets, so I got to know them rather well and they were immensely helpful to me when I was just taking my first steps, and to be frank still help me a lot to this day. – Train Leadership 5 (WC 3 3/3/3/3 is only a few hours more) or learn to scout. Both of these options will mean you are regularly invited into the command channel, where you get to hear more of the available intel and see more of the decision making happening. As a Scout, you are an intel gatherer and filter, by nature you will learn a lot about what information is important and how FCs will react depending on the the goals and capabilities of the fleet are. As a Squad Commander, you manage the 10 people in your squad to some degree, be it just for re-invites & answering questions or whether you are tasked with taking a specific squad to a specific place to do a specific job. It is also an excellent option to volunteer to be in the chain of command when doing this. – Go on lots of fleets. Just do it. The more you dive into them the more experience you have to call upon, the more people you will get to know and you’ll have more fun. I both lead and participated a stupid amount of fleets for my first 3 months and each one taught me a tiny bit more, got me a tiny bit more experience, making me the marginally less awful FC I am today. Regardless, let’s say you’ve decided to take out your first fleet. Due to the UNIs fantastic ship replacement program, I always reccomend new FCs within the UNI take out small gangs of T1 Cruisers or Destroyers. They are cheap, can punch well above their own weight and if you accidently the whole fleet no-one takes a significant ISK loss, as the Insurance payout will likely cover the module loss. Step 1: Where are you going to go? I reccomend a Low Sec roam and specifically the Molden Heath loop to many new FCs. Low Sec has a high concentration of targets and less worry about bubbles/pod losses. You can also plan lots of Hi-Sec outs along the way to get back to the relative safety of Concord if things go pear shaped. Molden Heath fairly quiet but not entirely dead, obvious to traverse (it’s a big circle) and allows you to get used to directing a fleet through maneuvers. Don’t worry about not getting any kills, everyone has dry spells and it’s a whole lot better than station spinning. Realistically, any route is fine, even if you have a burning desire to roll into Amamake/Rancer/Tama on your first time out. The only other thing to bear in mind the likely travel speed of your fleet and how highly trafficked the systems are, a frigate roam will travel a darn sight faster than a battleship roam. Tell everyone you’ll be going out for 2-3 hours and aim to finish at 2, which will allow for unexpected occurrences. Step 2: Go, do, shoot flashys, come home again with your shield or upon it. Somewhat self explanatory. I won’t go into any further detail here as there are just too many scenarios to discuss. Write an AAR. Put effort into it. Many FCs will write simple AARs and just put specifically what happened, maybe just even a battle report and leave it at that. That’s absolutely fine but in order to learn to become a better FC, by revisiting the events later on in an objective manner in your mind and allowing others to comment on what mistakes you made/what good things you did you will learn massively from 10 minutes or less of typing. Seek out experienced pilots who flew with you and ask them for their opinion, they’ll usually be happy to give it. I know FCing won’t be for everyone, but I highly reccomend giving it a go and seeing whether or not you like it, as with all things in EVE. Without FCs we have no fleets, meaning people don’t get to fly their ships and revel in the exploding of them. In the UNI especially, no fleets means people don’t get practical experience in the roles they’ve been learning about. I’ll finish with common mistakes (all of which I have made and continue to make) that are prevalent especially in newer FCs, so that you can be aware of them and do your best to minimise their impact. – Be decisive. Any decision immediately is superior to a better decision in 10 minutes. – Don’t be afraid to welp fleets. 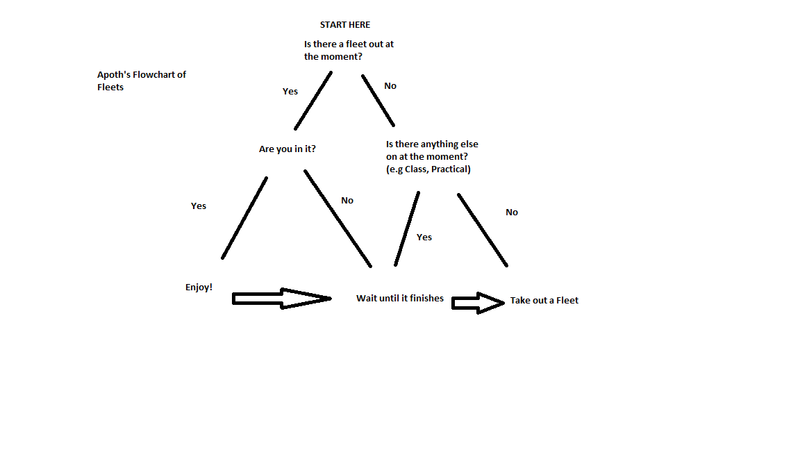 You will learn the most from the fleets you welp 90% of the time, that’s just how it is. If there’s a realistic way for you to engage an opposing force, even if just to pick off something shiny and run is better that avoiding everything apart from ganking much smaller groups. A welp is more fun than nothing happening at all. – Don’t be discouraged and be good at taking criticism. If you enjoy taking out fleets, keep doing them. Some pilots may be very pointed in their criticism and that’s fine, some people are rude. Take what you can from it and move on. Every person who agrees to come along to your fleets is a person who believes in your capability to FC them. – Don’t get ego-trip when you start getting experience and confidence. Having large amounts of people agree to listen to what you say and follow your leadership, choosing you to lead how they spend their free time should be overwhelmingly humbling. There are many cases of FCs who start to believe they are superior than their foot soldiers and begin to dehumanise them into modules on their ship and can become rude to those who do anything but exactly what they say exactly when they say it. It is at this point the FC will cease all improvement in his abilities and hemorrhage fleet participation. No-one likes to hang around with a jerk. – Somewhat counter to the previous point, be confident and open with your fleet. Try to inspire morale and happiness in your fleet without seeming arrogant. They’ll do demonstrably better in a fight and have much more fun. Hearing silence over comms is dull and can cause panic if you’re in the middle of an engagement, so keep talking and keep everyone reassured, giving out all the intel you feel comfortable to so that everyone remains involved and invested as much as possible. This can also help with feedback, as with more information people can give better suggestions. Take out fleets. Do it. Now. You could have done an X-Up while reading this post! What are you waiting for? This entry was posted in Education on January 16, 2013 by Apoth. The latest post involving Fweddit, and most posts in general I make here have involved me losing ships and/or usually entire fleets in massive welpings. Therefore to avoid ending up like this and to stroke my giant ego we shall be discussing those massively ISK-positive engagements where the outcome was not pre-determined by a raw mismatch of force. Then again, ganks can provide some small entertainment when the people you’re ganking are flying very shiny ships don’t bother with scouts and don’t seem to find the need to pay any attention to local/d-scan/anything at all. The first fight I want to talk about has already been briefly mentioned in another post, though I promised I would come back to it so here we are! Yes, the battle report was indeed delicious, as well as lacking a number of their battlecruisers who managed to burn out and neither died or got on any of the few lossmails we sustained. This engagement was hilarious and well received after 90 minutes of bugger all as we traipsed through Placid. Rather hilariously as their pilots who lost their ships went to their home station to reship, they were intercepted by a gang of Ravens who blapped them one system out before they could rejoin the fray. Most of the time (especially in my case) it’s pure luck that gives you great wins and has very little to do with how good/bad you are as a FC, just requiring the capability to take advantage of a situation. From the AAR: “The opposing fleet was now at Planet 6, so I got us to Planet 6 asteroid belt 1 for a shorter punt. Somehow (and I honestly have no idea what happened here), we landed 100-120km from their fleet. I had the scout land on grid so we could use him as a bounce point to warp onto the Blackbirds wreck as it was sat in the middle of their fleet. Fortunately however this was unnecessary as they decided to warp directly on top of us (I am assuming they had a cloaky or bookmark the opposite side of us and warped to it at range). 1) ISK does not necessarily correlate with good decision making and 2) Don’t warp kiting ships to zero onto a brawling gang, you’ll die in a expensive and unnecessary ball of fire. I was going to include my recent “3.1B kills 0 losses over 5 engagements” fleet, but enough is enough. 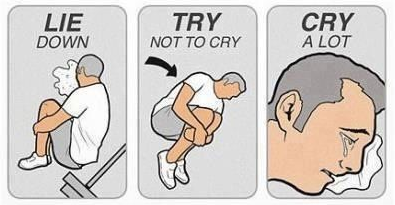 Back to crying myself to sleep at night and overview-smashing utterly-overkill welpings! What I’m trying to adress here is that I see a lot of FCs, (especially new ones after their first big welp) who focus far too hard on their losses, mistakes and general sub-optimal fleet situations to the point where they lose so much self confidence that they cease taking out fleets altogether. To be healthy and improve in any pursuit you need to regard both wins and losses fairly, take what you can from them and continue to enjoy doing what you enjoy doing. This entry was posted in E-UNI on January 10, 2013 by Apoth.